A West Kelowna couple say they are being unfairly evicted and face the total loss of the home they purchased and have lived in for eight years. Ed Schneider and Ross Arnot bought a waterfront home in the Jubilee Mobile Home park on Westbank First Nation land in 2007. The sale included a house and a detached garage on the same lot. The two had been sold as a unit twice in the past, were on the same lot according to the site map, and the sale was approved by the ownership – Princess Enterprises, owned by the Tomat family – as per WFN bylaws. They paid about $300,000 for the home and have since done about $100,000 worth of work to it. In October 2013, the couple put the home up for sale, and in November that year they went on a long vacation to Arizona, as they have for the past several years. On Jan. 16, 2014, they say they were faxed a letter saying the owners of the park were taking the garage as a "maintenance building," without any compensation to Schneider and Arnot, and that they had until Feb. 1, 2014, to vacate the building. "We were 2,500 miles away in Arizona," Schneider said. "We feel like we've fallen through the rabbit hole." In response, the couple sent a letter saying they were not relinquishing the garage without compensation as they had purchased it as a unit with the home and it was full of their belongings. 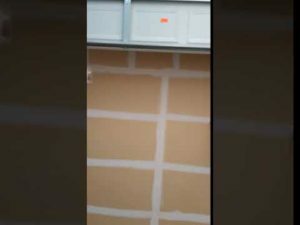 Further, they had paid to have an alarm system put onto the garage, and they were in Arizona so would not be able to return in time to deal with the matter. The garage sits behind a continuous chain link fence and cedar hedge on the couple's lot. Schneider said they heard nothing back until they were then served with another eviction notice, this time for their home. Schneider said they have always paid rent on the lot by giving post-dated cheques one year in advance. They are close friends with their neighbours and have had no trouble with anyone in the park. They had a verbal offer on the home for $369,000 after an appraisal set the value at $360,000. Since the issue with the garage, they were only able to secure a written offer for $279,000. "Normally, when someone is evicted from a tenancy situation, they are allowed to sell the house and a new tenancy agreement is signed with the purchasers," he said. "The Tomats have informed us that they will not issue a new tenancy agreement for this lot." This "effectively prohibits us from selling the house," he said. Schneider and Arnot have been through two arbitration hearings with the Westbank First Nation, both of which have upheld Princess Enterprises' decision to evict the couple without compensation. Schneider said there have been at least 14 other sales in the Jubilee park since February 2014 – all of those purchasers were granted tenancy agreements. "We don't understand it. What totally fried our bananas was when the original arbitrator said 'we don't think this is a financial hardship,"' Schneider said. "I'm sorry, but if you don't turn the keys over to your house and have you and your family move out without any financial compensation, then you tell me how that's not a hardship? We're screwed because we have a mortgage on the house, so we can't get a mortgage on another house." The couple have spent over $20,000 in legal fees so far. "This is borrowed money, and if we proceed with more legal fees the bill could be $40K to $80K." Apparently, the only options that remain for Schneider and Arnot are to walk away from the home at a total loss, or to pay for it to be moved by truck to another location. The move alone could cost up to $50,000, not to mention the cost of dismantling the extensive additions and renovations that have been done over the past eight years. They have started a FundRazr crowdfunding campaign to try to raise the money to bring this battle to court or to pay for the dismantling and move of their home. The Westbank First Nation office, Princess Enterprise office and the manager of Jubilee Mobile Home park could not be reached for comment Saturday. The couple's lawyer, Paul Varga, says they have both been “slapped in the face” by management of their mobile home park.